As always, there was a calculated risk with rookies, especially those who are completely unfamiliar with European basketball. 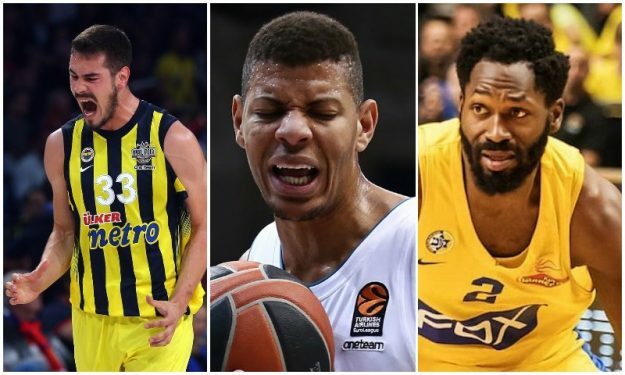 Hence why some players who will now take their first steps in EuroLeague have been omitted from the list or where placed in lower positions in comparison with other players, or even EL rookies that have a considerable experience at a competitive level of European basketball. Experience in this level and type of game matters since we’ve seen no few quality players, even established NBAers, immensely struggle in their new surroundings simply because of their unfamiliarity with everything that European basketball encompasses. What should be noted is that a player of a team that is a title or Final Four contender automatically got a relative priority over another with possibly similar or equal, maybe even superior individual strengths. This is why you will find that there is an increased number of players from well-known powerhouses. Of course, there’s also the fact that these teams usually sign a lot of top talent. The countdown continues with the spots from 50-41. Here are the, 60 – 51, 70 – 61, 80 – 71, 90 – 81, plus the 100 to 91 picks.